And the answer is: not. 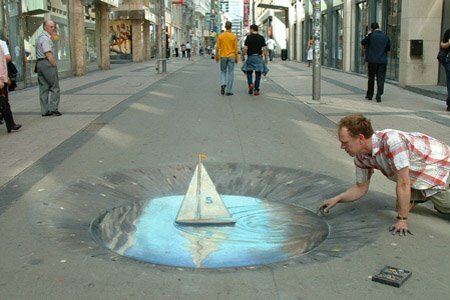 This is actually a sidewalk drawing by the artist seen at right, Julian Beever. Cool, eh? For more freaky pavement illusions, check out his site.